Being excited about life…can that be a reality? You might think to yourself, “Well, perhaps at home with family and friends, in my personal life, I can be excited about life, but certainly not in my work life.” So let me ask you, why not in your work life? Oh, I can hear the replies already. Although, I don’t know the statistics on how many people dislike their work, I do know instinctively that there are many people who work each day without knowing the true purpose of their work. As a result, they can live 65 to 75 percent of their waking life unhappy, just getting by until the workday ends. This is sad to me because I know it doesn’t have to be that way. In fact, I believe that God created work for people to find passion and purpose in life. Ephesians 4:12 states, “For we are His workmanship, created in Christ Jesus for good works, which God prepared beforehand that we should walk in them.” Simply understood, the Lord created us to do His bidding in the earth. Once you realize that God created you for good works to serve people and solve problems that make a difference in people’s lives, you unlock the door to passion, enthusiasm, and purpose in your work. 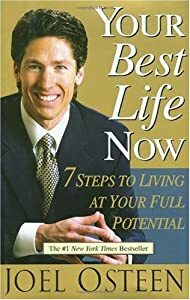 I learned from reading Joel Osteen’s book, Your Best Life Now, that the word “enthusiasm” is a derivative of two Greek words: en theos – which means “inspired by God”. By adding the word service to enthusiasm, we get “service enthusiasm” which then means “service inspired by God.” When you are a service enthusiast, you find joy and satisfaction in your work because you are serving others by the inspiration of doing God’s will in whatever work He has called you to do. In Colossians 3:23, the Apostle Paul writes, “Whatever you do, do it heartily [with passion], as to the Lord and not to men.” With a spirit of commitment and excellence, serve others with enthusiasm, and you will discover joy and satisfaction in your work as a real gift from God! The Make It Happen Moment ® Live With Enthusiasm Copyright 2006, The Make It Happen Learning Institute. You have permission to reprint The Make It Happen Moment ® Live With Enthusiasm, in its entirety only, and forward to your colleagues and friends, provided the copyright notice remains part of the reprint and transmission. All other rights reserved.